Hyd-Mech H-14A 14” Automatic Hydraulic Horizontal Band Saw s/n 50601405 w/Hyd-Mech Controls, Conveyor, Auger, Coolant. Hyd-Mech H-12A 12” Automatic Hydraulic Horizontal Band Saw s/n A0396526H w/Hyd-Mech PLC Controls, Hydraulic Bundling Attachment, Conveyor, Auger, Coolant. DoAll mdl. 3612-3 36” Vertical Band Saw s/n 153-65771 w/ Blade Welder, 25-6000 FPM, Hydraulic Feed Table. Roll-In 9” Vertical Band Saw. 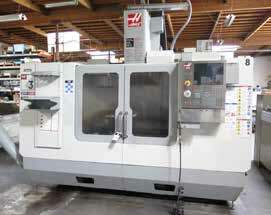 Harig Super 618 6” x 18” Automatic Surface Grinder w/ Harig Autostep III Controls, Electromagnetic Chuck. Taft Pierce 5” x 12” Surface Grinder w/ Walker Electromagnetic Chuck. Brown & Sharp No.5 Tool and Cutter Grinder. (2)Gorton mdl. 375 Tool Grinders. (2)Black Diamond Precision Drill Sharpeners w/ Acces. Burr King mdl. 960 2 ½” Belt Sander. Kalamazoo 2” and 1” Belt Sanders. 2012 FS Curtis SE20 20Hp Rotary Screw Air Compressor s/n SE2012K12000 w/ Aims Plus Controls, 6479 Total Hours, 812 Load Hours, 81 CFM @ 125 PSIG. 2012 FS Curtis CR100 Refrigerated Air Dryer s/n HG100A1151207002. 2012 120 Gallon Air Storage Tank. Pem-Serter 5 Ton x 18” Hardware Insertion Press s/n BB-613. 48” Pneumatic Press Brake w/ 5 ½” Throat. Schaublin mdl. 9A Cam Machine s/n 100433.
International Centrifuge Size 1 Type SB Centrifugal Chip Spinner s/n M8907.ADF Systems Heated Parts Washer. Linde Heliarc 250HF Arc Welding Power Source s/n B86E56338. Electro Arc mdl. 2SE Metal Disintegrator s/n 6042. Rockwell Delta 2-Head Gang Drill w/450-4700 Variable Speed Heads, 23 ½” x 95 ½”Table. Speedaire 3Hp Horizontal Air Compressor. Greenerd No.3A Arbor Press w/ Stand. Omega 26” x 28” Down Draft Table. Down Draft Table w/ 22” x 25” Work Area. Consew mdl. 210 Industrial Sewing Machine. s/n 172001 w/ Biesemeyer Fence System. Yale mdl. G83C-080-SBT-083-G 7700 Lb Cap LPG Forklift s/n 283775 w/ 3-Stage Mast @ 205” Lift Height. Yale mdl. ERC040ACN48SE083 4000 Lb Cap Electric Forklift s/n K565040 w/ 3-Stage Mast @ 186” Lift Height, Side Shift, Charger. Presto mdl. WPS-4236-10 1000 Lb Cap Electric Pallet Mover s/n 64809-03. (10)Wesco Hydraulic Die Lift Carts. (2)Cantilever Double Sided Material Racks.